Lindsay May's students showed exemplary results completing the Microsoft excel training program. 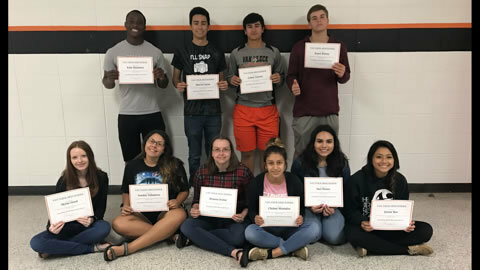 Left-right Kobe Blackmon, Marcus Garza, Colton Carrion, Kason Klump Skylar Hood, Frankie Valladeres, Brianna Srubar, Chelsey Montalvo, Itzel Nunez, and Jennie Keo. Congrats students!